Getting from Rome to Capri is one of the most popular routes among travellers. The distance is 265 km. Undoubtedly, the most convenient option is to take a fast train from Rome to Naples and then one of the ferries that go to Capri. 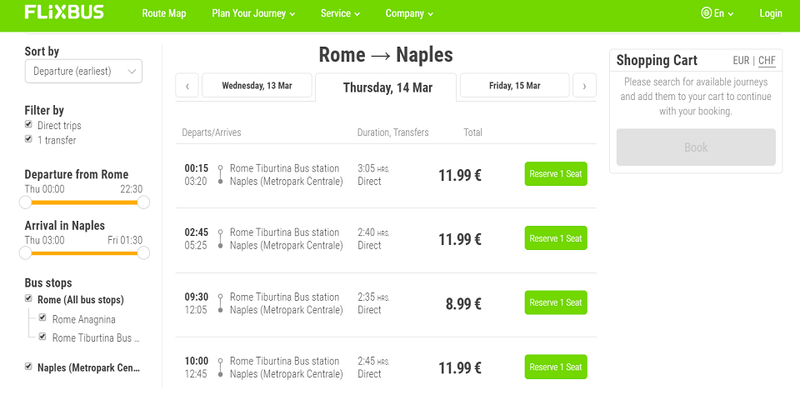 Also, there are direct buses that go to Naples for a cheaper price, but with a longer route. The journey will take from 1 to 6 hours. If you want to get to Capri from Rome, first you have to reach Naples. 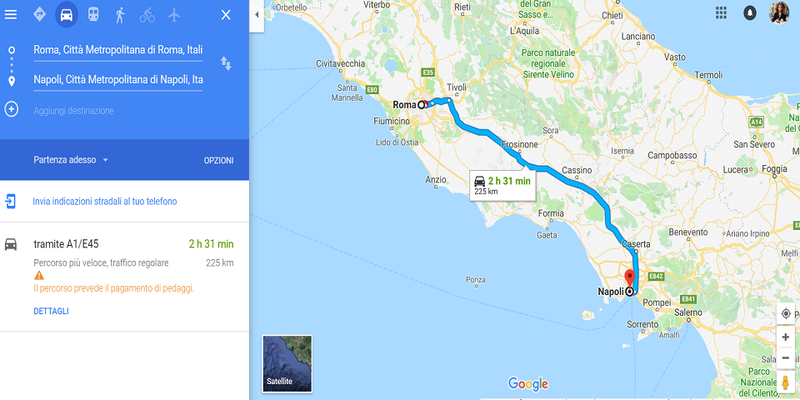 If you plan to get from Rome to Naples by car, the distance is 225 km. The ride will take around 2.5 hours. 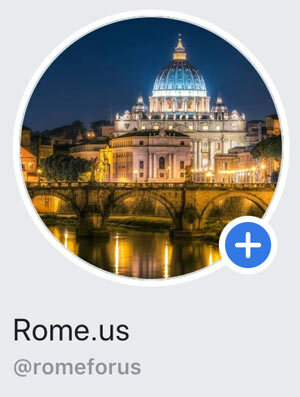 The option is convenient, but you have to consider toll roads and difficulties with parking, since you are going to visit one of the most touristic Italian spots. This option works only in case if you are going to stay in Naples and plan to visit Capri for a day-trip. 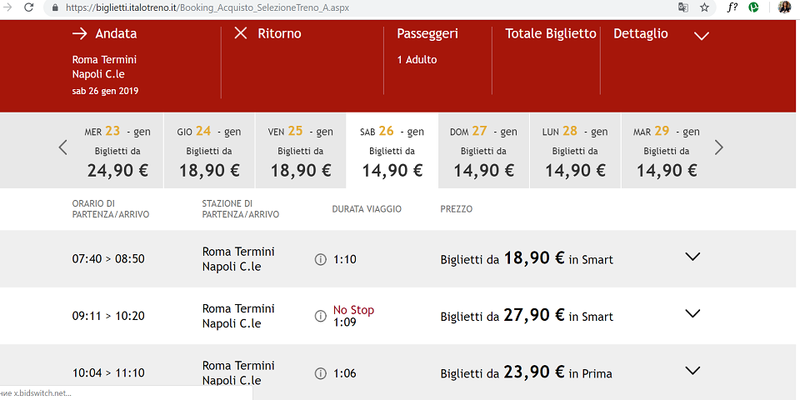 Of course, you can book a private transfer from Rome to Naples. An average price for the private driver from Fiumicino airport to Naples is from 350 to 400 euro. For one of the best transfers you can use the service of Sergio&Partners with the best driver and our close Italian friend Sergio. One-way transfer price is 360 euro. Ferries from Naples to Capri depart from two ports: the Molo Beverello and the Calata Porta di Massa. Here you can find schedules for ferries to Capri. They change often, so double-check a few days before your departure. Also, you can purchase tickets directly at the pier of departure, but you should better arrive earlier during the months of July and August since there is a change that all tickets will be sold out. You can book tickets online. Moreover, you will have to stop at the ticket desk before boarding to pick up your tickets. Each passenger has a small surcharge for baggage. You can use one of numerous public transportation options to get from the Naples Central train station (Piazza Garibaldi) to the Molo Beverello port. However, the easiest way is to use the subway or underground system. You need to take Line 1 in the direction of Piscinola and get off at the Piazza Municipio stop. Another option is to take a taxi. The price will be about 10 euro. One of the most unforgettable experiences and the fastest ways to reach Capri from Rome is by booking a transfer on helicopter. It will take only 1 hour to reach the destination! 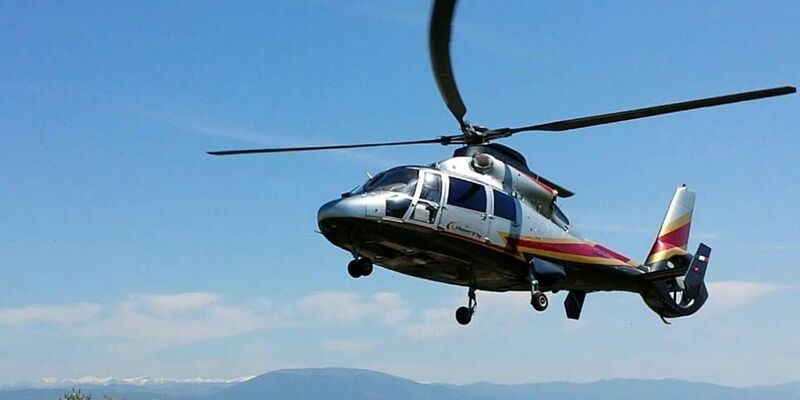 If you are interested in taking such an unusual kind of transfer from Naples to Capri, the flight will take only 20 minutes. However, this option is the most expensive one since prices start from one thousand euro. The island of Capri is one of the most famous touristic spots. There are numerous options on where to stay on any budget. Villa Ietra Salata is a luxury villa. It features a private pool, a kitchen and sea views. There are 4 separate bedroom, 4 bathrooms with free toiletries and a hair dryer. Moreover, a continental breakfast is available every morning at the villa. 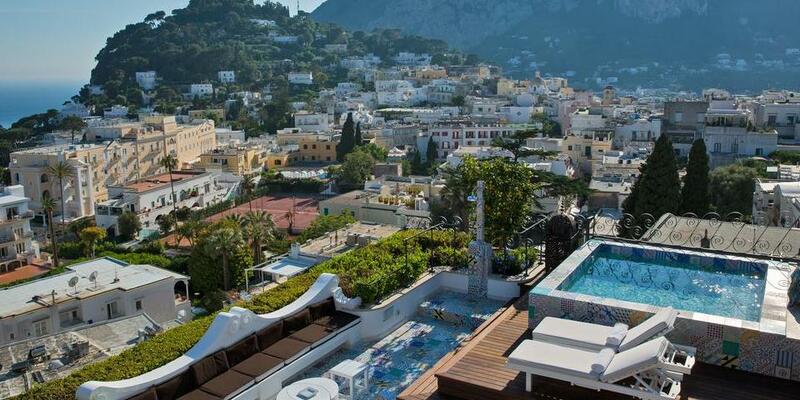 Capri Tiberio Palace is a 5-star hotel located in a 19th-century building. It offers elegant rooms with LCD satellite TV. Also, it features a panoramic rooftop terrace. 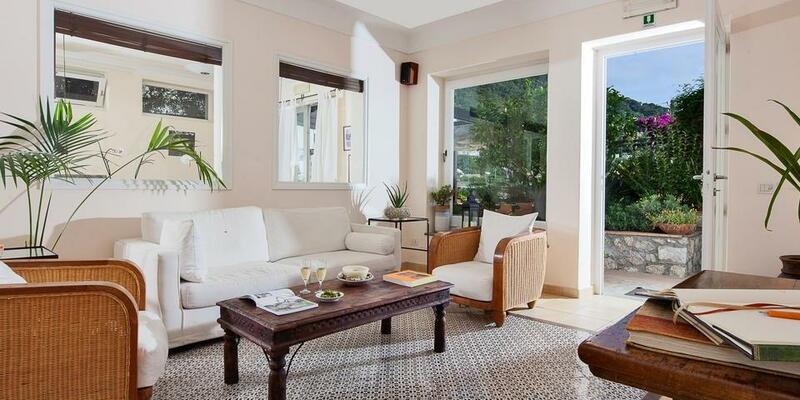 The Hotel Senaria is located in a peaceful location and has an amazing atmosphere.The property combines classic Mediterranean architecture with modern elements. Most rooms have a terrace or balcony. 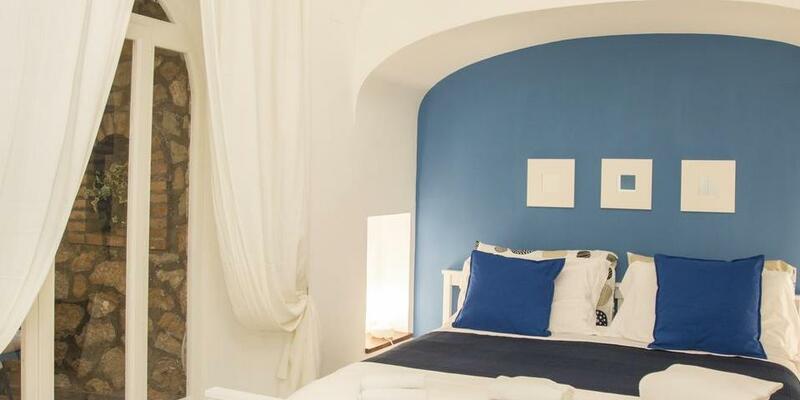 Capri Dolce Vita property offers charming rooms. It is located in the main square of the island, Piazzetta. 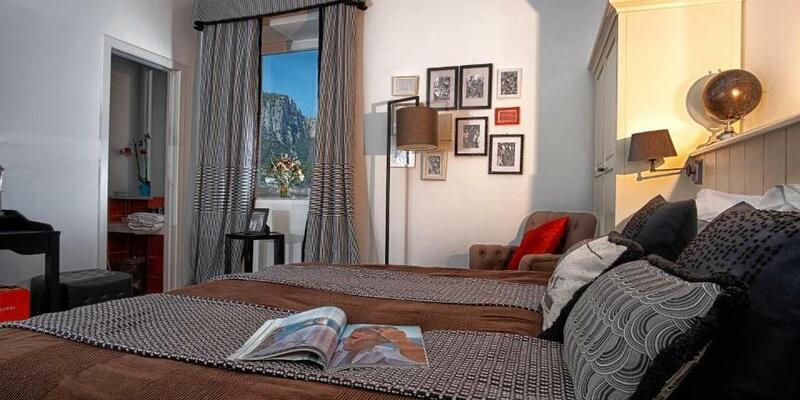 Each room at Affittacamere Capri Dolce Vita has a mini-bar, a desk and safe. Some of them have a private balcony. 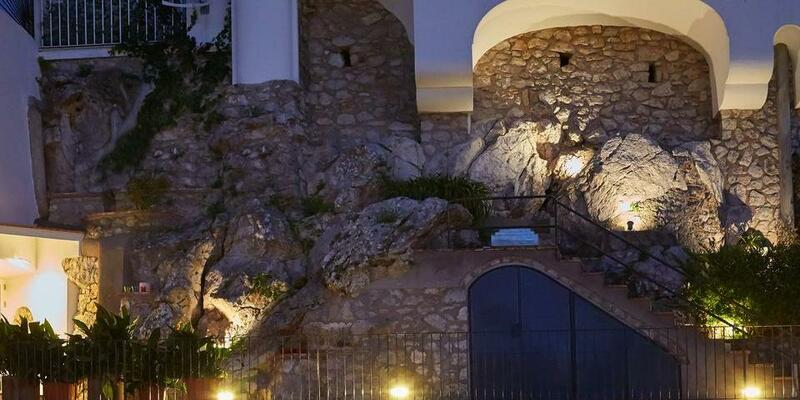 This is one of the top-rated properties of Capri. Casa Boutique located 183m from Piazzetta di Capri. The property offers rooms with a flat-screen TV and a kitchen. The property is one of the top-rated places among tourists. Capri Blue located in 100m from Piazzetta di Capri. There is free WiFi and beautiful design of the accommodations. Some units are air-conditioner and include a siting or dining area. There is a private bathroom in each room and all amenities are offered.